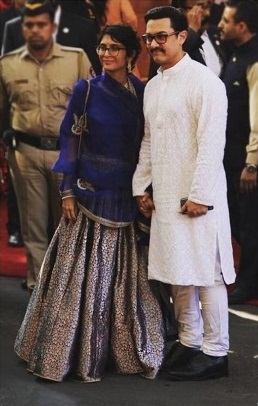 All The Designers That B-Town's Finest Chose To Wear To The Ambani Wedding! If Isha Ambani and Anand Piramal's wedding is keeping you close to your laptop with about 20 tabs open, we wouldn't blame you. With a bevvy of B-Town guests, all dressed up to the nines, it's only natural you want to know who wore what. So close those tabs, because we have all the deets on which celeb sported which designer. Keep scrolling ladies! 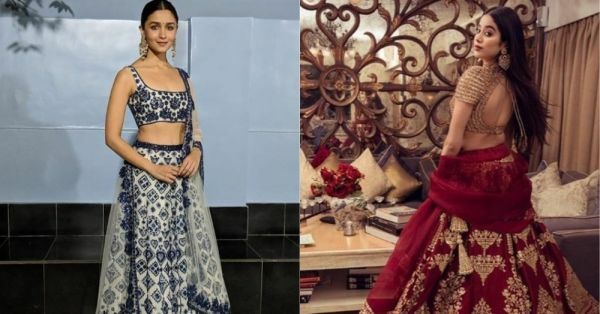 Taking a route a tad bit different was Alia Bhatt, who wore an ivory and blue chikankari lehenga from Manish Malhotra's Mijwan collection, paired with a sheer dupatta. Trust Sonam Kapoor to raise the bar every SINGLE time! Dressed in custom Anamika Khanna couture, the actress gave us a wedding look we will be talking about for some time. Who said ivory wasn't a colour fit for the wedding season? Paired with earrings, a maangtika, bangles, and all that jazz by Anita Dongre's Pink City and Amrapali jewels, Kareena Kapoor Khan made a stunning case for the colour in her Anita Dongre lehenga. 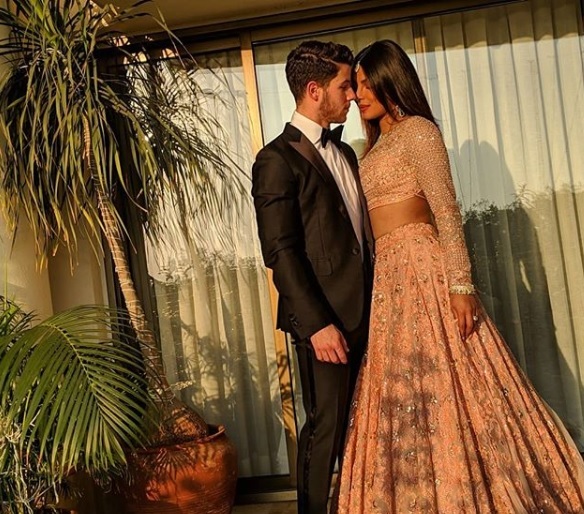 The newlyweds made it to Isha Ambani and Anand Piramal's wedding, looking completely smitten by each other and we had a hard time keeping our eyes off PeeCee's peach-hued lehenga, courtesy JADE by Monica and Karishma. Deepika Padukone picked an ivory and red Jamdani saree by the designer duo, featuring a zardozi lace border and a blouse with the same intricate craft. She rounded off her look with red and gold bangles and ornate earrings. What's the wedding season without a hint of red? 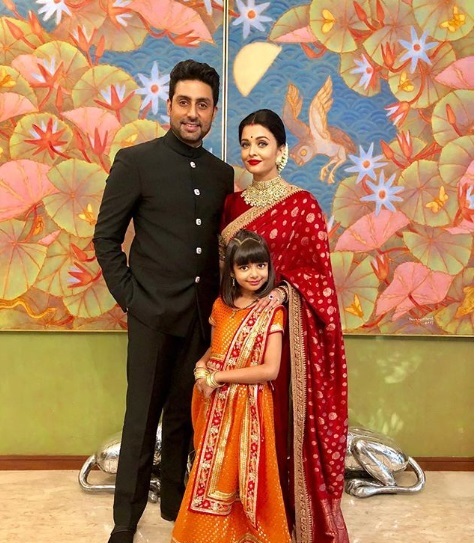 Perhaps the same thought was on Aishwarya Rai Bachchan's mind because she turned up in a red Sabyasachi saree adorned with gold motifs, accompanying her look with jewels by the couturier. Another actress donning the timeless red and gold combo was Janhvi Kapoor, in her fabulous Abu Jani Sandeep Khosla lehenga. Would you look at the intricate details on that? Woah! The young Kapoor was no less, wearing her favourite Manish Malhotra for the occasion. 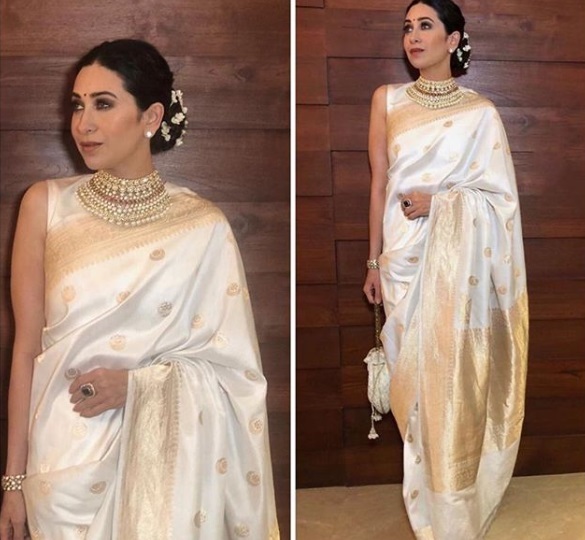 Her minimal jewellery look which made the gold details stand out from the rose-tinted outfit is for every girl who wants a wedding OOTD sans the jewels. 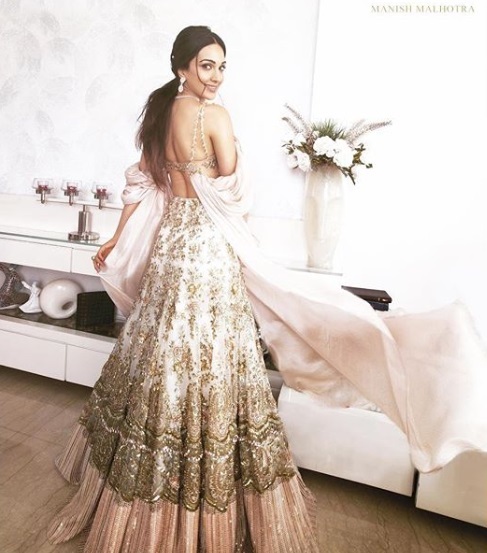 For Kiara Advani, the wedding outfit was a modish number by Manish Malhotra which showcased Swarovski details, lavish drapes, and exaggerated sleeves. Another person seen wearing JADE by Monica and Karishma was Madhuri Dixit, who chose a mauve-hued classic lehenga with intricate detailing. Shilpa Shetty ditched the conventional lehenga for a chic concept-saree by Tarun Tahiliani. With its sheer details and mermaid look, the outfit sure stood out from the crowd. Another guest seen wearing Raw Mango was Kiran Rao, but with a dash of colour. Blue to be precise and needless to say, she worked it. 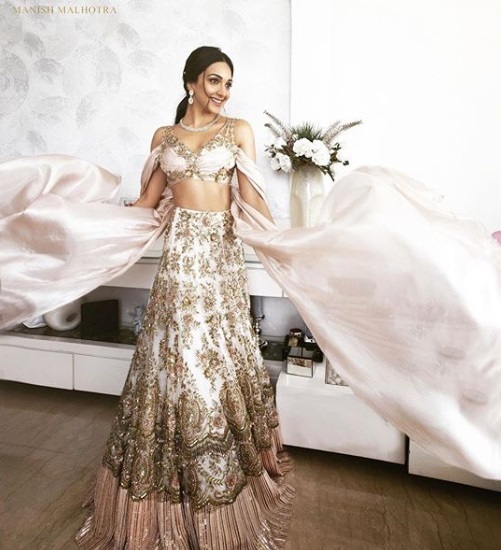 The botanical theme could be spotted in Lara Dutta's Rimple and Harpreet Narula lehenga which flaunted the age-old lotus motif. A layered neckpiece, rings, and matching earrings completed her look. Turning heads in an Anamika Khanna outfit that came with an embroidered cape was Jacqueline Fernandez. Was everyone wearing AJSK? Not everyone, but quite a few! Take a look at Gauri Khan's chevron saree with sequin details and you will know why. Need more info? Stay tuned for more!